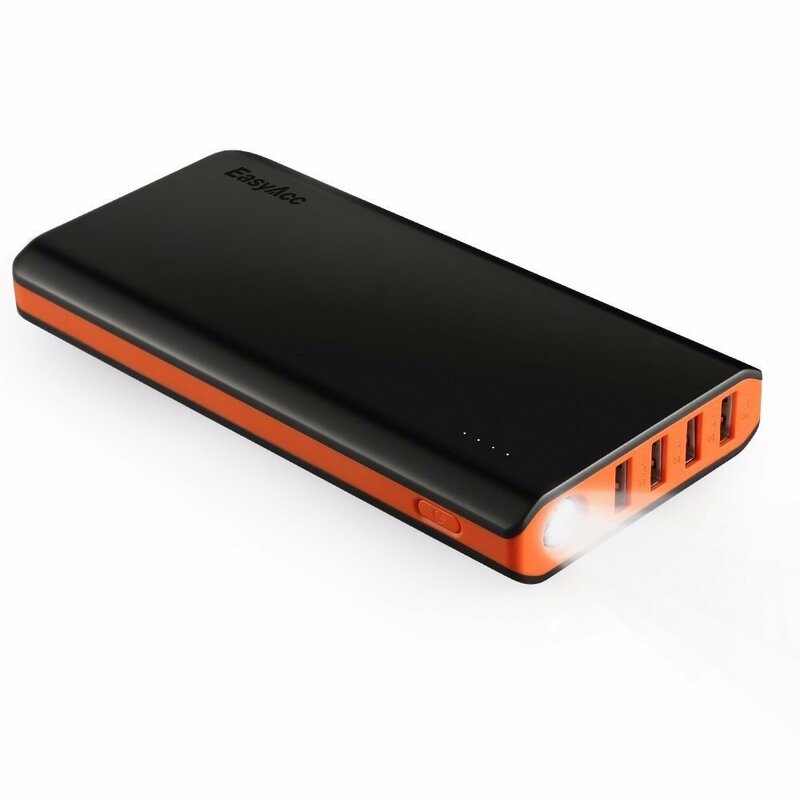 The EasyAcc 2nd Generation Brilliant 10,000mAh Power Bank (10K PB) is a portable, high capacity USB charger for your smartphones, tablets, and other USB-chargeable devices. Weighing in at eight ounces, it is a lightweight, go anywhere charger that provides multiple smartphone charges, one full large tablet charge, and power for multiple devices at once. Never be without power for your devices again with the 10K PB. 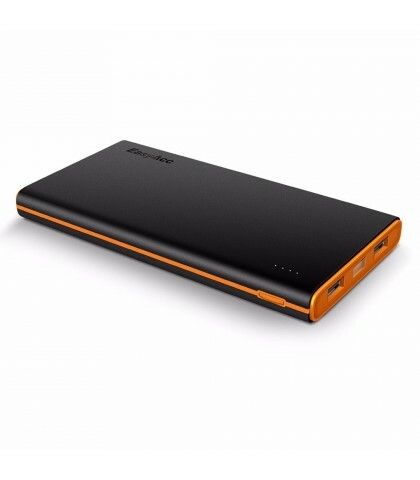 The video showcases both the 10,000mAh Power Bank and the 20,000mAh Monster Power Bank. It’s hard to remember a time before smartphones. It’s even harder to remember a time before cellular technology for most of us. And now to continually use a smartphone without access to extra power is going to be hard to remember in a couple of years. You can get the jump on those fading memories with a portable charger and the 10K PB fits your budget and your travel gear perfectly. At only $17.99 from Amazon (Prime), you can have it in two days (or less), and have all the power you need in every location and at every event from now on. Why limit yourself to a few hours of smartphone usage during the day when you can have power any time you need it and anywhere you need it? You don’t have to turn off your phone or run it on power save mode anymore. Enjoy full access to cellular, WiFi, app stores, and the Internet with all the power you’ll ever need. Just remember to plug in the 10K PB at night, using the included microUSB cable to replenish your portable Power Bank. I’ve used the 10K PB for a couple of months now and can tell you first hand that it does what it says–it provides a lot of power in a small package. I’m never without mine. I’ve used it at events. My wife has used it to power up her ever-present smartphone. My daughter has used it to power her iPad mini and her smartphone multiple times. The 10K PB can recharge a device multiple times–so many in fact that I forget that my daughter has it. And then days later she brings it to me to be recharged. So, the 10K PB is a wife-approved, teenager-approved USB charging unit. No complaints from them means the product scores major points. Why it’s Frugal: The EasyAcc Power Bank 10,000mAh is frugal because it provides something that you can’t get at any price when you don’t have access to an AC power outlet. Plus, its capacity allows you to power up multiple devices or one device multiple times. You can take it anywhere and use it. It’s well made and perfectly priced for any budget. Frugal. The EasyAcc Power Bank 10,000mAh and it’s big brother, the EasyAcc Monster 20,000mAh Power Bank ($35.99 Amazon (Prime)) are both must have devices. When you can’t be without power and you also can’t be tethered to an AC outlet for hours, then you need portable power and these two will do the job with no complaints. Recommendation: Buy one or more immediately. You gotta have the power.